Do you love swimming in oceans in the summer season? Well, most of us love to swim especially in summer season. Oceans give us a very pleasant experience and calmness that is why beaches are full of people in the hot days. So, what is an ocean? 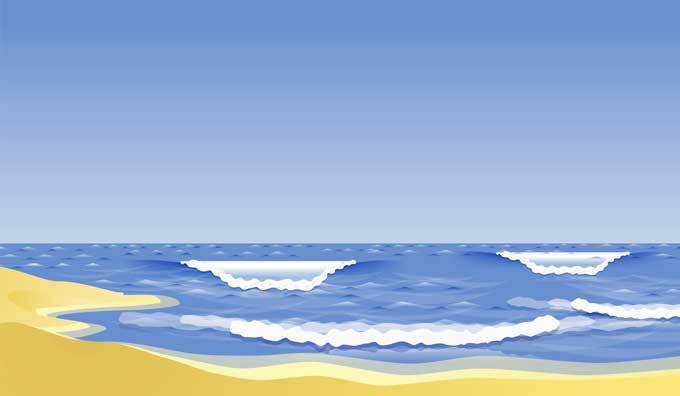 An ocean is a large and open body of water. Oceans are salty and cover most of the earth surface – about 71%. Most of the times the word oceans is confused with “sea”, but oceans and sea are different. A sea is not an open body of water instead, it is surrounded by land. Oceans cover about 71% of our earth’s surface and there are no physical boundaries that separate one ocean from other. Instead, all the oceans are connected – as you can see on the map of our earth. Oceans are divided into 5 regions according to the continents of the world. The division lines are imaginary – not physical. 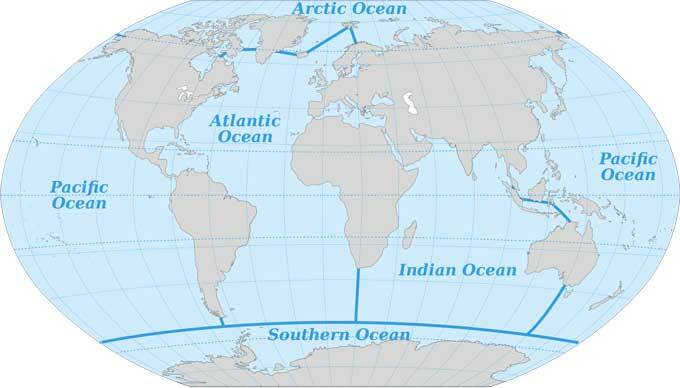 These five oceans of the Earth are Pacific, Atlantic, Indian, Southern, and Arctic. Let’s learn about these five oceans in a bit more detail. 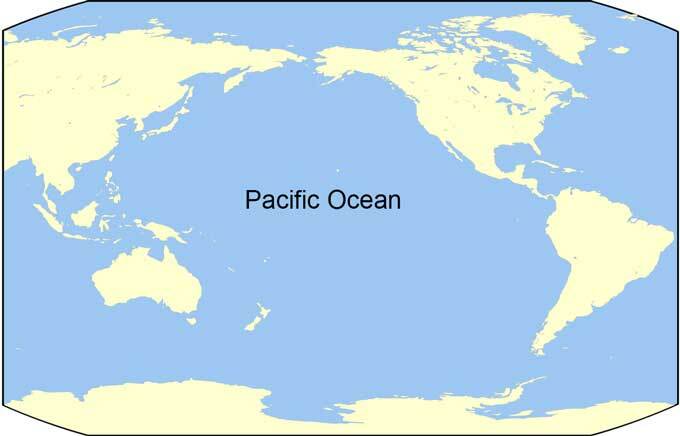 The Pacific Ocean covers about 30% of our earth’s surface and is the largest ocean of all. This ocean is also the deepest, and the deepest place of the earth – Mariana trench – is also located there. This ocean separates South and North America from Asian and Australian Continents. 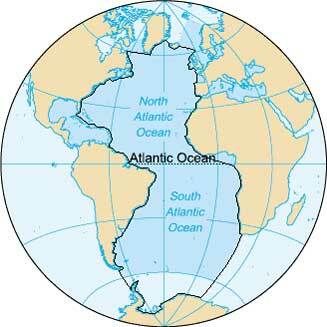 After Pacific, the second largest ocean in the list is the Atlantic Ocean. This ocean covers the surface between Europe, North America, South America, and Africa. Many warm currents flow in the Atlantic Ocean, but most notable among them is “Gulf Stream”. It is quite a powerful current from Florida to many coasts of the United States. Recent Studies suggests that the Gulf Stream affects heavily on the climate of Europe and the United States. The Indian Ocean comes third in the list of largest oceans. 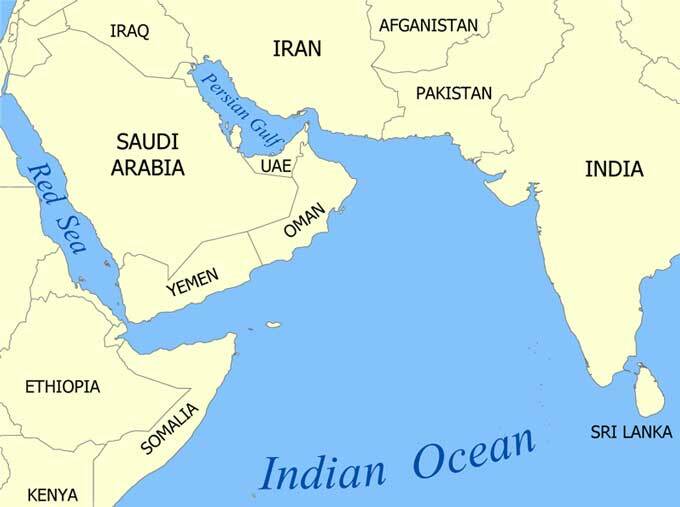 This ocean takes the space between East Africa, South Asia, and Australia. Indian Oceans is also the home of many famous islands, which includes Sri Lanka and Madagascar. The Southern Ocean or Antarctic Ocean is the 4th largest ocean which didn’t exist until the 20th century. Before 20th century, this ocean was considered as an extension of all the oceans. But in mid-20th century, International Hydrographic Organization promoted this part as an ocean. 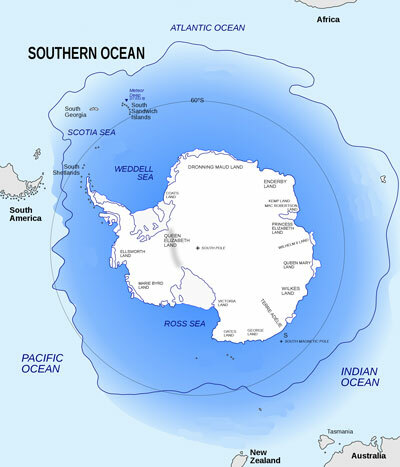 The Southern Ocean covers southernmost surface area of the Earth. The Arctic Ocean is very shallow and comes last in the list of largest oceans. This ocean is located near the North Pole and is surrounded by Asia, Europe, and North America. 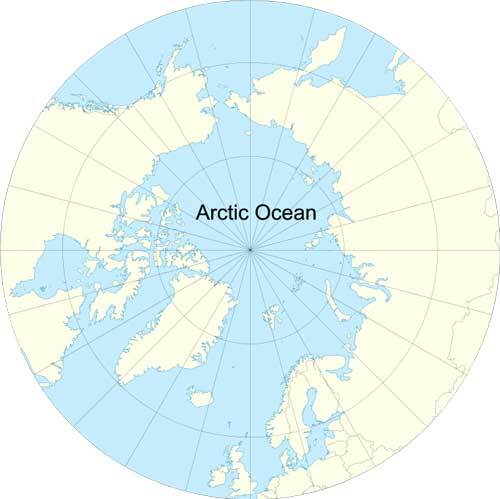 The Arctic Ocean is not completely liquid water, but it is partly covered with ice due to lower temperatures. The salinity of this ocean depends on seasons; in summer its salinity decrease due to the melting of ice. Overall, the salinity of the Arctic Ocean is less than other oceans due to less evaporation and continuous flow of fresh water in it from many rivers. Ocean life is also called marine life and it contains animals, plants, and microorganisms that live is saline water. Marine life plays an important role on our Earth. They produce most of the oxygen required by land creatures, and the major oxygen producers are plankton. Researchers have found that many of the life forms on the land initially evolved from marine creatures. There is a wide variety of creatures living in the oceans and only 230,000 have been found with confirmed records. 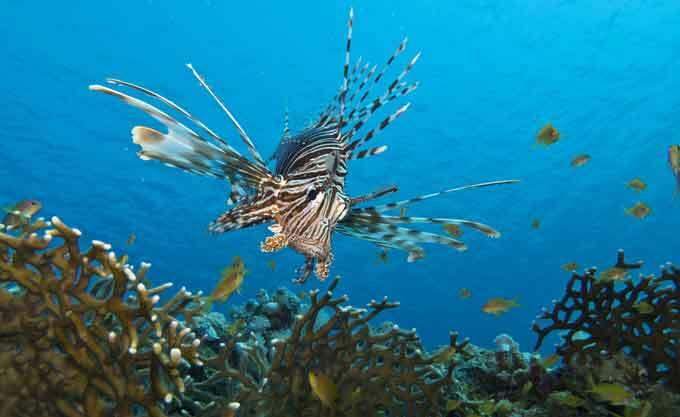 Marine experts believe that there are about 2 millions more marine species yet to be discovered. The water of the oceans is salty due to the presence of sodium chloride in higher concentrations. Sodium chloride is transported from the land to oceans by water itself. When it is raining on mountains, rainwater pierces through rocks over time and meet with salt deposits deep in the land. These salts are dissolved in the water and are carried to oceans by rivers. The evaporation in the oceans again causes rainfall which further washes the salts and carries them to oceans. As a result, the salinity of oceans increases over time. 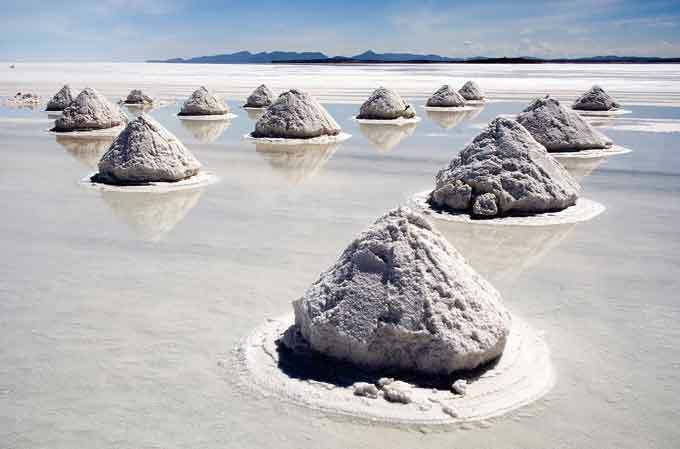 If somehow the salt dissolved in the oceans is removed and spread on the Earth’s surface, it is estimated that the layer of this salt would cover a height of 500 feet – about a 40 story tall building! It is estimated that the average depth of all the oceans is about 12,000 feet (3600 meters). The percentage weight of salt in the ocean water is 3.5%. Plankton are the marine creatures that produce most of the oxygen on the Earth. Abdul Wahab, "Oceans," in Science4Fun, April 12, 2019, http://science4fun.info/oceans/.